Rob Meinecke found his passion for the health and fitness industry in 2002 as a Personal Trainer and Group Fitness Instructor. After 10 years of helping clients achieve their fitness goals, he decided to pursue the recovery side. 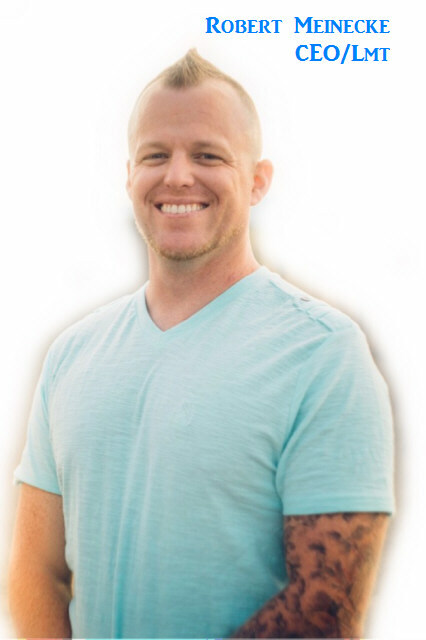 He graduated from Yakima Valley Body Therapy Institute in 2011 with specialized training in therapeutic massage and deep tissue massage. His treatments include a wide variety of techniques, most recently earning his CCT, to ensure each client gets the relief they are looking for. In 2017, Rob began traveling across Washington and Oregon with his wife and business partner Heidi, learning about The Float Pod and it’s one-of-a-kind, zero gravity experience with many health benefits. They couldn’t help but think, Yakima needed this! Rob is the founder and CEO of Energy Massage & Float Spa. Jessie Johnson has been with Energy Massage & Float Spa since late 2017. She graduated from the Elite Academy where she learned a variety of massage therapy techniques. Jessie’s strengths are deep tissue massage and cupping, and we appreciate her passion and dedication to her work. Maisie Carmichael has been with Energy Massage & Float Spa since mid 2018. She graduated from the Elite Academy where she learned a variety of massage therapy techniques. Maisie’s strengths are Swedish and deep tissue massage, and she is currently enrolled in the Esthetics program, working towards her dual license. We appreciate her passion and dedication to her work. Brenna Burns has been a massage therapist for two year, with Energy Massage & Float Spa since mid 2018. She graduated from the Elite Academy where she learned a variety of massage therapy techniques. Brenna excels at Swedish massage and we appreciate her passion and dedication to her work.